It’s a bit rich to pile on a “free-thinker” like Kanye West, who implores us to “lead with love,” when the best critics and pundits are themselves bankrupt of compelling ideas. Take Andrew Sullivan, for example, a shrewd and reasonable thinker. 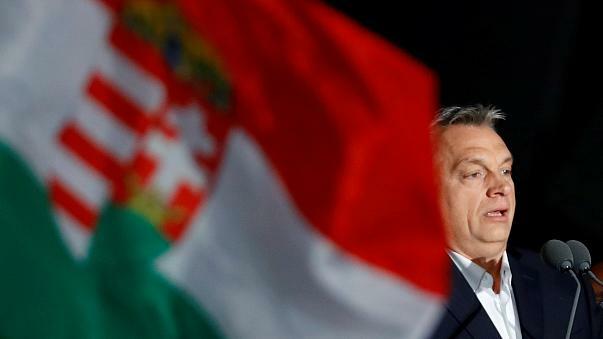 In a recent offering, he expertly deconstructs how Viktor Orbán has transformed Hungary from a “prosperous 21st-century liberal democracy into an illiberal one, and then into a de facto dictatorship,” before touching on the Apu controversy and celebrating the fact Lisa Simpson has not “morphed into a permanently aggrieved racial activist, intent on removing every lamentable obstacle on the march toward boundless diversity.” Comedy is sacrosanct. It’s true: the backsliding in Eastern Europe is a wake-up call for “the complacency so many have lapsed into.” Democratic collapse is no longer mere theory. Like other Western nations, America is being pressed now, from both the left and right, to choose between genuine liberty and illiberalism. And the temperature will go on rising until it’s sorted, one way or the other. And Sullivan’s solution? Defend “core liberal democratic principles, wherever they are threatened,” by bringing Trump-hating Americans “to the ballot box in huge numbers this fall.” So, what, switching congress from red to blue will break the fever? How, exactly? When, exactly? Let’s go one better, as the panel did on Bill Maher’s Real Time, and assume the president is impeached and convicted. “What do you do with the disaffected 40 per cent who are going to be unhappy about it?” asks Jordan Peterson. No response from fellow commentators. Yet it’s OK to go on using the same divisive, politicized mindset. Is the assault on democratic norms populist idiocy, or are dreary elites missing something of note? What is it we must wake up to? In addition to Kanye hitting Twitter, the Facebook data-mining scandal provides some clues. While it’s generally agreed politics involves hearts and minds, we rarely reflect on their interaction and respective role in assigning value. The mind is all about Science, the material and rational. What goes on in the human realm of things, data, ideology, rules, debates over the function of government and justified use of power. Trade-offs are considered, compromises made. Our spiritual needs, on the other hand, are absolute and indivisible, knowable only in a heart-felt or emotional manner. Art is instinctive, its visceral understandings of what truly matters too immediate to be explained or validated, in a fully rational sense. As Peterson has said elsewhere, meaning and purpose “shine forth” through everyday reality, rendering life an unfolding, holistic experience that defies definition. Myth and narrative, poetry and music, are our best approximations of an answer. If things aren’t to fall apart in a different way, the Science has to, at some point, yield to what is sufficient, what is universal and more rewarding than materialism. This is, of necessity, beyond reason and language. Detecting and responding to a common source of value is distinctly personal and localized, contingent on being open and attentive to what shines forth before us, from moment to moment. The solution is to eschew pre-emptive solutions from the top-down. We’re all Artists, like Kanye claims, with ultimate success driven from the bottom-up, with the individual guided by social norms. Crucially, this is itself dependent on society acknowledging the irony: Science and politics will only be effective if we first accept their limitations. It was hoped, perhaps, the 44th American president, clever and audacious, would speak directly to the West’s emotional concern that, having built the necessary-but-insufficient infrastructure, we might then lack the courage to let go and trust absolutely in the human heart to realize our metaphysical hopes and dreams. Alas, to address this fear, one must have already conquered it, a rare achievement indeed amongst those indebted to institutional power. Try, timidly as he did, Barack Obama couldn’t “go Bulworth” and put it all on the line. And the electoral response to the failed exceptionalism? Elect an anti-intellectual demagogue, prone to go with gut feel. Yes, unfiltered feelings that disregard facts, hierarchy and real-world practicalities, whether emanating from the White House, Pope Francis or Emma González, are usually pseudo-Art, cheap emotion that seems to delight in chaos. It’s a similar story in places like Hungary, which are aware of the West’s hypocrisy and faintheartedness. Our polite authoritarian state is no triumph. Freedom does not lurk at one end of a continuum of compromise – its dignity transcends the relativities of Science. Moreover, it’s dangerously naïve to believe more-of-the-same secular liberalism, with or without Donald Trump, will eventually win out. Sullivan wraps up his column with a George Orwell observation. Fascism could never take hold in Britain, he believed, because people would giggle if they saw soldiers goose-stepping down the street. Humor is a “safety value and a reality check,” our most resilient enemy of zealotry. Shame, then, he and other intellectuals, overly serious in their analysis of our plight, are unable to frame the joke and its punchline. Democracy is being assailed because it’s time to risk what we think matters, for the spiritual fulfilment of what truly matters, what lies outside the liberal order. And if we don’t risk it, all that has been accomplished will be lost to hubris, in any case.